While it’s not necessarily hot outside (just yet), I still get a little flushed in the afternoons. Chalk it up to pregnancy hormones, am I right? 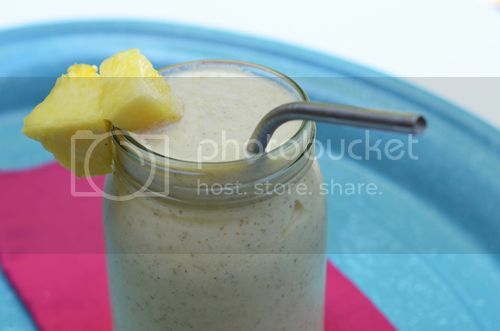 To best combat this, I’ve turned to whipping up healthy smoothies on the fly and anything ‘tropical’ is high on my list. 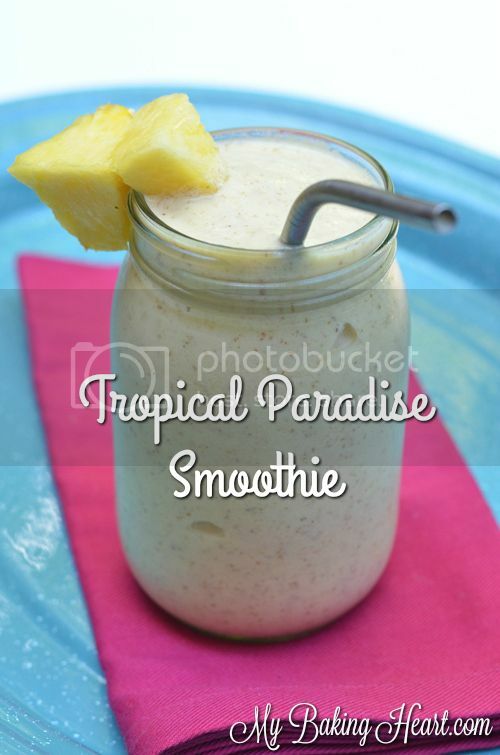 Enter this Tropical Paradise Smoothie. By combining Stonyfield 100% Grassfed yogurt and Barlean’s Flax, Chia & Coconut Blend – along with yummy fruit – I can imagine myself relaxing at the beach and cooling on down at the same time. Stonyfield’s new 100% Grassfed yogurt is rich, smooth and tangy. 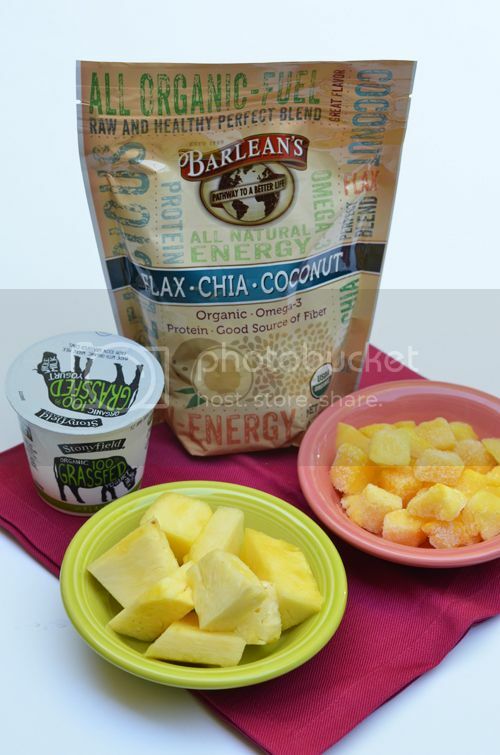 While Barlean’s Flax, Chia & Coconut Blend is a vegan, nutritional powerhouse. Both come together in an organic, nutrient-dense way to help support digestive health and fuel your body… and cool you off, if (like in my case) that’s what you’re after. You can definitely mix and match different fruits, but this recipe is always a favorite of mine. Don’t forget to check out the Barlean’s extended line of additional oils, green food concentrates and other premium supplements. From flax oils to super seeds, they’ve got it covered! Place the ingredients into a blender in the following order: ice, frozen mango chunks, fresh pineapple chunks, agave, Barlean's Blend and yogurt. Blend on the highest setting, until everything is pureed and mixed properly. Pour into a large glass and enjoy. Disclosure: I am honored to be a member of the Stonyfield Clean Plate Club. Compensation was provided in the form of product and coupons by Stonyfield and Barlean’s; however, the photography & opinions expressed herein are solely those of the author.